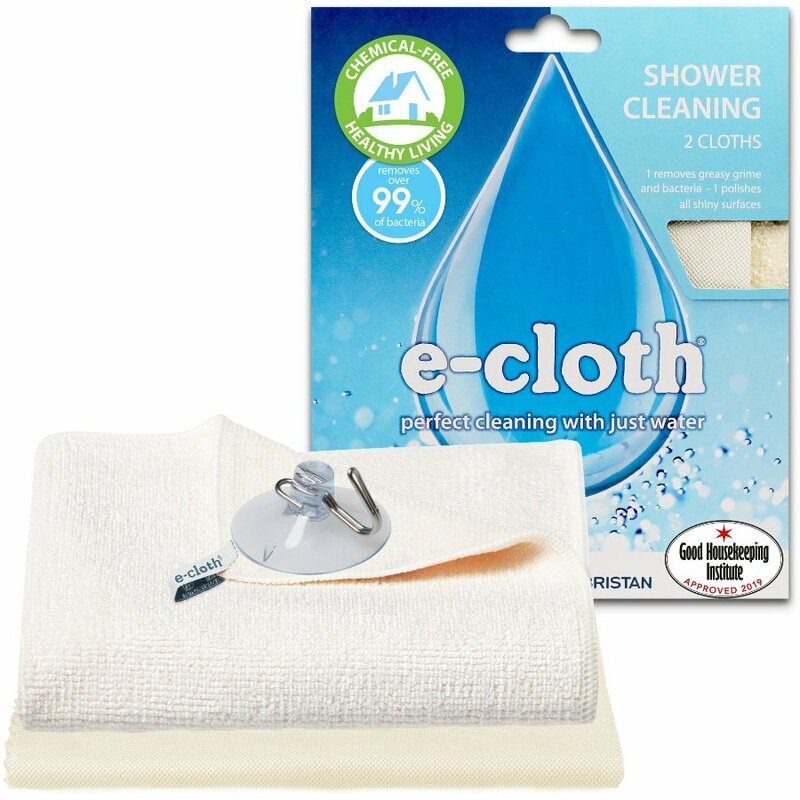 The shower pack from E-Cloth gives you a sparkling clean every time just using water – an eco-friendly way to clean and cut down on your use of chemical cleaners. The shower cloth easily lifts dirt to remove water marks, soap scum and grime from shower screens and tiles, and with regular use it will prevent the build up of limescale – then simply hang on the handy suction hook provided. In the pack you’ll also receive a glass & polishing cloth with a specialist fibre construction and weave which increases the speed at which moisture is absorbed removing the lightest grease and finger marks. Pack includes 1 x Shower Cloth (32 x 32cm), 1 x Glass & Polishing Cloth (40 x 50cm) and 1 x Suction Hook. The E-Cloth Shower Cleaning Pack product ethics are indicated below. To learn more about these product ethics and to see related products, follow the links below. There are currently no questions to display about E-Cloth Shower Cleaning Pack.